Attracted by Springville's rich forests and abundant streams, New Englanders settled the area in the early 1800s. Not long after, industries abounded, such as agriculture and education. In 1830, Springville Academy emerged as Erie County's first high school and has produced an array of distinguished citizens, including politicians, football innovator Glenn "Pop" Warner, and painless dentistry pioneer Dr. Ralph Waite. 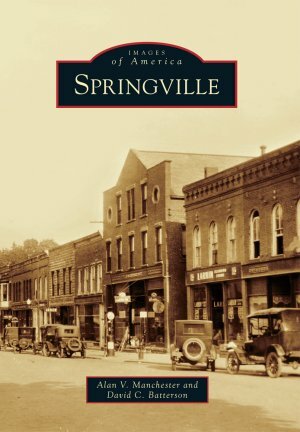 In 1834, Springville was incorporated from the Town of Concord. In 1878, the Springville & Sardinia Railroad was built, and access to distant markets connected local businesses and Springville with the rest of the country. Visionaries Bert and Jenny Chaffee donated their home to the community for the creation of the Bertrand Chaffee Hospital in 1946, and the community received another economic boost in the 1960s when the world's first privately owned nuclear fuel reprocessing facility was built between Springville and West Valley. Multimillion dollar agricultural enterprises, which have replaced family farms, are served by expanded local farm equipment dealers and animal feed formulation mills. Today, medical and agricultural services, manufacturing, and education are key elements in the area's economy.